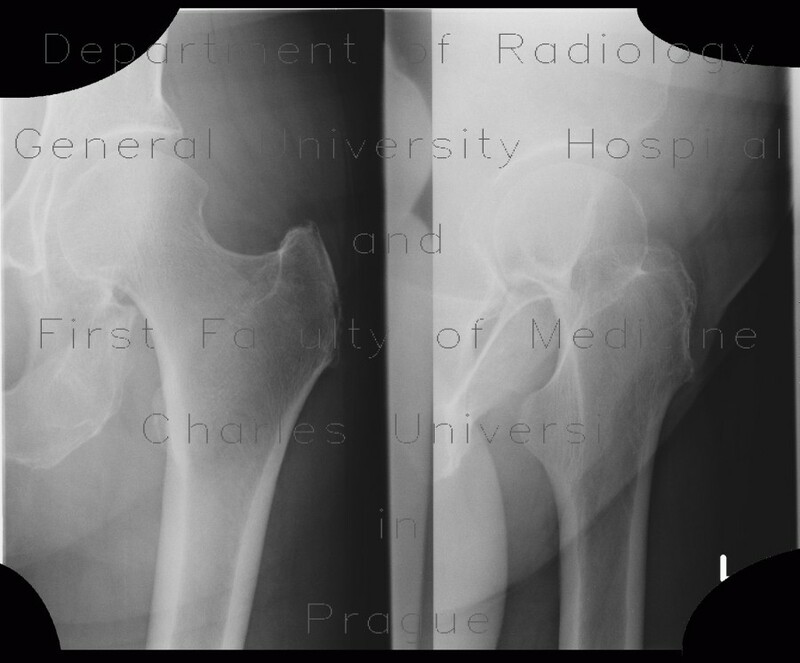 The AP radiograph shows two thin lucent lines laterally to the femoral head and the acetabular roof. They delineate gluteal muscles - gluteus minimus abuts the pelvis. Laterally to it, there is the gluteus medius muscle.